Lord Hanuman is considered an ideal of force, power, energy, wisdom, service and devotion to God. That is why in religious scriptures, he is also called as Sakalgunnidhan. Simply put, Lord Hanuman is immortal. 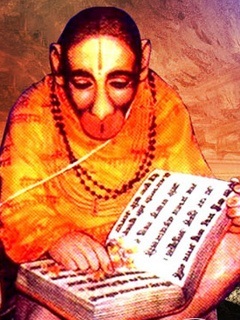 In Shri Hanuman Chalisa, Goswami Tulsidas has written – ‘Charo Jug Pratap Tumhara, Hai Prasidh Jagat Ujiara’. It is clear from this line that Lord Hanuman has been present as a troubleshooter in every age in some form or the other to protect the universe. These things about Lord Hanuman create people’s faith and reverence in him. 7.1 Please share the post with Hindu brothers and Sisters and SPREAD awareness about Biggest FRAUD of the decade. Use Social Media sites, your blogs everything. Lord Ram had blessed Hanuman with the boon of being Chiranjeevi (immortal till the end of Kaliyug). In her previous life, Sri Hanumanji’s mother was Punjikasthala and she was cursed to become a female monkey in next life – a curse could only be nullified if she gave birth to a reincarnation of Sri Shiva. She was reborn as Anjana and performed many yagnas to please Sri Bhagwan Shiv – who finally granted her that boon. Hanuman Ji is still alive and seen by many Saints and Sages in human form or his original avatar. Amar Singh Yadav Ji made revelation on people who got darshan of Sri Ram Bhakt Hanuman Ji. One day my gurudev, Sri Swami Girdhari Lal Bhaktamal, went with a group of his disciples to the temple of Gore Dau ji on Parikrama Marg in Vrindavan. A religious ceremony was being held, and during the course of a reference to Hanuman ji, an idea flashed in my mind. ‘Everyone says that Hanuman ji is immortal but nobody says that they have ever seen him. It is natural if a dead person is not seen, but it is strange that an immortal one has not been seen by anyone.’ I expressed my thoughts to the swamis, but their answers did not satisfy me. A few years later I was visiting my brother R.S. Yadav and saw a photograph in his house of the same man as I had seen in Baba Neeb Karori’s ashram. He looked exactly the same and was dressed in the same way. I pointed to the photograph and told my brother that I had seen him somewhere before. He was very happy to hear the full account of my experience in 1984 and went on to tell me that the photograph was of Baba Neeb Karori, who people recognize as an incarnation of Hanuman ji. He added that Baba left his body in 1973 and that the huge murti of Hanuman ji had been installed in that temple sometime in 1970. My brother also narrated two similar experiences of his friend, Brihaspatidev Triguna Vaidya, another devotee of Baba Neeb Karori. On 24 September 1973 Triguna ji went to Baba’s ashram in Jaunapur, Delhi, to have prasad on the thirteenth day after Mahasamadhi. After bowing before Hanuman ji’s murti, he raised his head and saw Baba standing there in place of the murti. He was astonished at the sight and offered pranaam again. When he looked up the second time, he saw Hanuman ji’s murti. 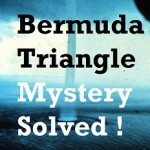 The second incident took place sometime after 1976. Triguna ji went from Delhi to visit Kainchi and stood outside the big marble temple, in which he saw a huge murti of Hanuman. He did not know that he was standing outside Baba’s temple. For as long as he stood there, he had the darshan of Hanuman ji and not Baba. On returning to Delhi, he told my brother about the big marble temple with the murti of Hanuman ji. My brother told him that, in reality, Baba Neeb Karori’s murti was in that temple. These events completely removed my doubts. It is incident of 17th century during Great Rajmata Ahilyabai Holkar Ji’s regime. Rajmata was very brave and noble queen, she consumed her own property inherited from forefathers on charity works for her Kingdom. Her personal views on charity can be seen here. In one of the leelas of Nilkanthvarni, he was being pushed into the river Saryu by Kaushidatta. Nilkanthvarni swam down the river came out on the opposite side some twenty four miles away. He walked for three days through the wild forest, barefooted and without food and water. Nilkanthvarni wondered timelessly and soon fainted from exhaustion. After opening His eyes he saw a river shimmering with the reflection of the setting sun. He bathed in the fresh, clean water, prayed and then sat down to rest. Night soon fell and Nilkanthvarni went into Samadhi. At this time Hanumanji came in child form to have darshan of Nilkanthvarni. Meanwhile, a demon called Bhayrav and his fellow demons were roaming the forest in search of food. They spotted a helpless child from a distance and thought that He would be easy prey to satisfy their hunger. As Nilkanthvarni was still in a trance, Hanumanji saw Bhayrav and his compatriots, stealthily approaching Nilkanthvarni with their mouths watering at the prospect of a good feed. Realising their intentions, Hanumanji caught them and beat them with his mighty mace and tail. The demons retreated, squealing in pain and Hanumanji went back to sit near Nilkanthvarni. Morning came and Nilkanthvarni came out of his trance. He saw Hanumanji and knowing the events of the previous night, he thanked Ram Bhakt for saving him. Whilst Nilkanthvarni carried out his morning routine and prayers, Hanumanji gathered fruit and berries from the forest for Nilkanthvarni. Nilkanthvarni ate this offering with great satisfaction. Being very humble and always ready to protect Shri Vishnu Bhakts, Hanumanji requested Nilkanthvarni to call upon him at any time of need so he could have an opportunity to serve Him and seek His divine blessings. This incident occurred in 15th century. Tulsidas hints at several places in his works, that he had met face to face with Hanuman and Bhagwan Ram. The detailed account of his meetings with Hanuman and Bhagwan Ram are given in the Bhaktirasbodhini of Priyadas. According to Priyadas’ account, Tulsidas used to visit the woods outside Varanasi for his morning ablutions with a water pot. On his return to the city, he used to offer the remaining water to a certain tree. This quenched the thirst of a Preta (a type of ghost believed to be ever thirsty for water), who appeared to Tulsidas and offered him a boon. Tulsidas said he wished to see Bhagwan Ram with his eyes, to which the Preta responded that it was beyond him. However, the Preta said that he could guide Tulsidas to Hanuman, who could grant the boon Tulsidas asked for. The Preta told Tulsidas that Hanuman comes everyday disguised in the mean attire of a leper to listen to Ramkatha, he is the first to arrive and last to leave. That evening Tulsidas noted that the first listener to arrive at the discourse was an old leper, who sat at the end of the gathering. After the Katha was over, Tulsidas quietly followed the leper to the woods. In the woods, at the spot where the Sankat Mochan Temple stands today, Tulsidas firmly fell at the leper’s feet, shouting “I know who you are” and “You cannot escape me”. At first the leper feigned ignorance but Tulsidas did not relent. Then the leper revealed his original form of Hanuman and blessed Tulsidas. When granted a boon, Tulsidas told Hanuman he wanted to see Bhagwan Ram face to face. 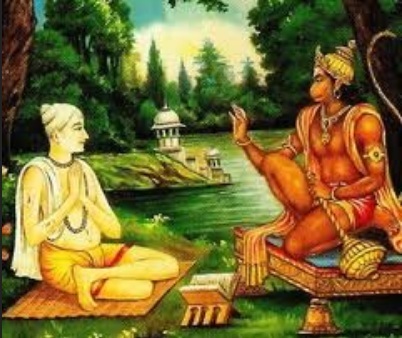 Hanuman told him to go to Chitrakuta where he would see Bhagwan Ram with his own eyes. At the beginning of the Ramcharitmanas, Tulsidas bows down to a particular Preta and asks for his grace (Ramcharitmanas, Doha 1.7). According to Rambhadracharya, this is the same Preta which led Tulsidas to Hanuman. Tulsidas Ji is the composer of the great Hanuman Chalisa which is very powerful source of generating positive energy. 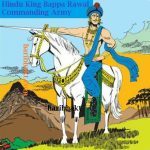 Everyone knows about Hanumanji and the major contribution by him, around 2 million years ago, during Sree Ram’s exile and his support in battle with Ravan. 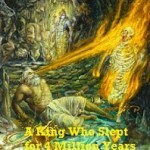 After the war, and after reigning for several years, the time arrived for Bhagwan Ram to depart to his heavenly abode. Many of Ram’s entourage, decided to depart with him including vanaras like Sugriva. However, shunning the heavens, Hanuman requested to remain on earth for as long as Ram’s name is venerated by people. Sita accorded Hanuman that wish, and granted that his image will be installed at various public places, so he could listen to people chanting Ram’s name. He is thus one of the chiranjeevis (immortals) in Hinduism. HanumanJi has shown his presence even during Mahabharatha which is believed to have happened during the time of Lord Krishna only 5000 years ago. When the Pandavas were in the forest, Draupadi requested Bheema for a Saugandhika flower of heavenly fragrance. 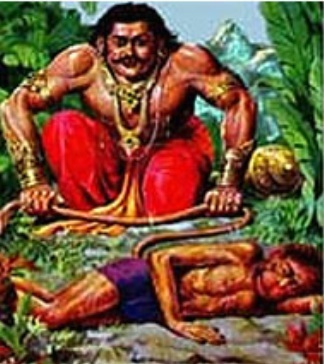 Bheema went forth into the forest to bring it. As Bheema was walking fast with long strides, he saw a monkey’s tail across his path. He angrily shouted, “You ape, remove your tail and clear my way.” The monkey slowly looked at Bheema and said, “My dear man, I am very old and can’t even move. Push my tail away and walk on.” Bheema was angry, amused and full of contempt. Was it what an unequalled hero like him should do? He tried to push the tail with his mace. But nothing happened. Try as he would, he could not even move that old tail. Then his mind grew clear and it dawned on him that this was not any ordinary monkey but could be Hanuman. With folded hands he begged his pardon. Eager to be of service to another avatar of Bhagwan Vishnu (Krishna), Hanuman attached himself to the flag of Arjuna’s chariot, whose charioteer in the Mahabharat war was Krishna. He thus had the fortune of hearing the Gita as recited by Sri Krishna himself, the only other people having the opportunity being Arjun, Sanjay and Dhritarashtra (informed by Sanjay). Once on his pilgrimage to visit sacred places Arjun met Hanuman at Rameswaram. Arjun over-confident about himself said, “Sree Ram need not have asked the monkeys to build a bridge. If I were there that time, I would have built a bridge with arrows.” “A bridge of your arrows! Leave alone the Vanar sena (army), it will crumble under my feet” replied Hanuman. Well, it developed into a challenge. It was decided that Arjun should erect a bridge with his arrows and Hanuman should walk on it. If the bridge collapsed, Arjun should jump into fire; otherwise, Hanuman must adorn Arjun’s banner (flag). Arjuna built a bridge with his arrows. No sooner did Hanuman set one foot on it than it broke into pieces. Arjuna got ready to jump into the fire. Just then, Shri Krishn reached there. He asked them to repeat their performances. When Arjun erected the arrow-bridge, Krishn touched the bridge with his divine hands as if to test it. Then when Hanuman danced on it heavily, it did not even shake. Hanuman was shocked and then realised that Krishn is none other than Bhagwan Ram. Hanuman kept his word and entered Arjun’s banner (flag). Hanuman is a Chiranjeevi, he is immortal. 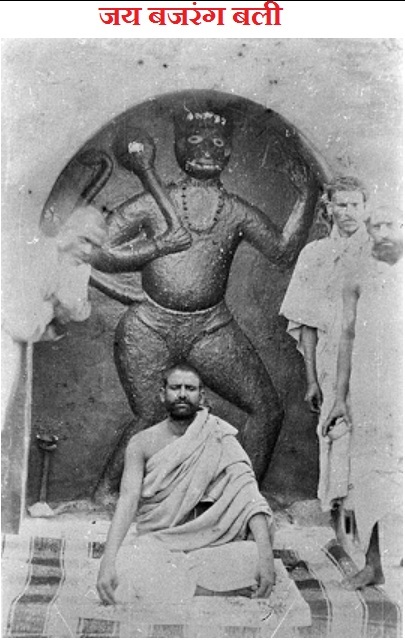 There have been numerous saints who have seen Hanuman in modern times, notably Tulsidas (16th century), Sri Ramdas Swami (17th century), and Raghavendra Swami (17th century). 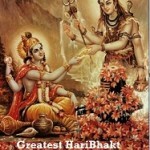 Many others have also testified to his presence wherever the Ramayan is recited. Being one of the Avatar of Bhagwan Shiv, Hanuman Ji has power of changing forms and size of his body. The incident occurred in recent 21st century itself. The picture was purportedly taken of Hanuman in a cave at Manasarovar Lake (Kailash) in the Himalayas during 1998 summer. 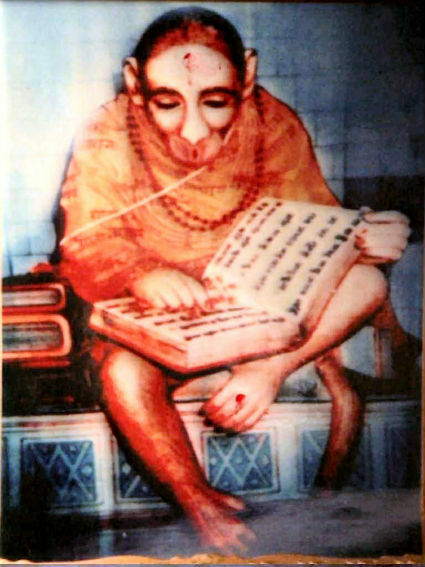 On Sunday the 9th May, 1999, this strange picture of Hanuman reading the Ramayan, was first seen in the house of Sri V. Srinivasan at Rohini in North-West Delhi, and from there this picture got populated across internet. The government of India every year during the summer “before the onslaught of monsoon”, gives permissions after medical check up, to selected individuals and send them in groups to Manasarovar Lake near Kailash. 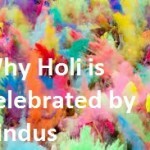 Such groups necessarily will consist of different nationalities, and different people from different regions of India. A group of people went to Manasarovar for a piligrimage trip. One person from the group of devotees taking the picture saw a light inside a cave, photoed that light and died there on the spot for reasons not known (this part every one is confirming who went along). Later the friends developed the roll from the camera and got this print!. It is a fact that Hanuman does exist in this Kaliyuga, our present age, since he is a Chiranjeevi (immortal). Please share the post with Hindu brothers and Sisters and SPREAD awareness about Biggest FRAUD of the decade. Use Social Media sites, your blogs everything. Hindus Beware of a Fraud orchestrated in the Name of Hanuman Ji Run by a sri lankan Setuu organization. Do not make any payment to them. Such people are anti-Hindus and curse to Hinduism. We had seen the Setuu org article previously, we correctly ignored it to be a hoax. This time, we have done research on this aspect and we did came through the website of Setu Asia which claims to be a spiritual organization but asks for donation of money. The claim that they made seems like a fraud and scam playing with the devotion of Hindus. Ram Bhakt Hanuman Ji is the most modest and simple Bhagwan. 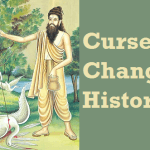 He never gave orders to pray or worship him in any of the Vedic and Hindu texts. Rambhakt Hanuman Ji always prayed and worshiped Shree Ram. He only praised Bhagwan Ram. Hanuman Ji is pleased to see Hindus reciting ‘Jai Shree Ram’ and helps them, when they praise Shree Ram. 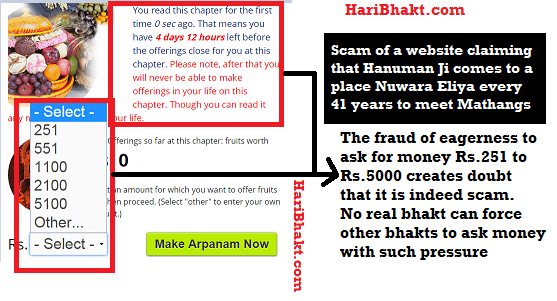 But the fraud website of setuu asia claims to have got instruction from Shree Hanuman to pray him. The so called spiritual organization Setuu claims to have got recorded log of so called Mathang tribe [claimed to be sub-tribe of Veddah] who speak in different language and they have to translate it in english and hindi language. They created several chapters revolving around the incidents of Mathang tribe. This is surprising that people who can speak with birds, animals and Hanuman Ji cannot speak Hindi or English …why ? because learning contaminated modern language is very easy for pious beings. Do not donate any money to such scammer and criminals. After you register, you get this fraudulent message with fake mantra, they sent another trapping message to fetch money from you…. This is first line of 36 lines which can be recited to meet Lord Hanuman. We shall release more lines when Lord Hanuman directs us to do so. Check the snapshot of false claim made by them and their cunning ways of asking money for pooja. Already we discussed below. Representing here. “If you are Hindu then trust our ancient texts and knowledge. In no Hindu text, Hanuman ji ever said that people should worship him. Secondly, he never asked for any favor from the people in terms of gratitude, money or offering. The basic premise of ongoing fraud done by setuu org is falsely claiming that Hanuman ji asked them to offer him fruits and offerings, these thugs of setuu org are asking money as donation. This is biggest lie. Use some common sense before blindly following kaliyugi demons. Moreover, the mantras shared by setuu org is completely fake and has no Sanskrit meaning. It is made up by con artists to dupe innocent Hindus. Do not become victim of this fraud. I have met Hanuman at Devprayag. But I don’t find this proper stage to share my experience. Plus, its personal experience, and I am unsure if to share or not. However, Good website. Reporter from chennai. He had the pics published in then hindu news paper during the said period. Irrespective of this context, Hanumanji can reduce and increase his size as he is Rudravatar of Shiv ji. He is always beyond limitations of this world. However he has to be reminded about his powers due to curse. I am really scared and stressed. Please I really need this job. Please protect me from any harm from my boss or management or any body else. Please save my job and reputation. Please give me harmony with everyone at work. Please give me peace and success in my job and bless me to do a sincere and high quality job to keep my boss happy. Please help please help. I need you. My current job and career is in danger and only you can save it. Please forgive me for my sins . Please come. Bhagwan Shree Ram and Hanuman ji always help. Please recite hanuman chalisa in front of image of Hanuman ji after taking bath and in clean body (avoid those naturally unclean days). And all your problems will be solved. Jai sree Ram. Hanuman Chalisa Is most Powerful Mantra. Its gives you the power and strength when you are in trouble. Can you make it clear that setuus are wrong? Because I read in another website that Lord HANUMAN ji comes every 41 years to visit mathangs. 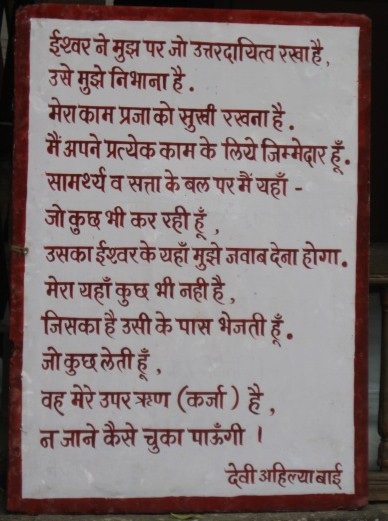 mere sath bhi ek ajib baat hui…ek bar maine apne frnd se kaha ki girls bhagwan hanuman ki pooja nahi karti..maine usko hanuman chalisa padhne se mana kiya aur kaha ki hanuman mandir na jaye…. uske 15 days baad mere sapne me bhagwan hanuman darshan dene aaye….wo mere sath khele bhi….wo 3 bar mere sapne me aaye aur mujhse kaha ki wo unka aashirwad mere sath rahega..unhone mere sir pe sath bhi rakha….aur kaha aaj se tumhare achche din shuru…..
par…fir bhi mere sath kuch bhi achcha nahi hua..Bhagwan krishna bhi mujhse naraz hain…Hanuman ji ki baat bhi sach nahi hui…kya koi batayega..ki mere life ki badha kya hai ki..bhagwan aas paas hone ka sanket to dete hain par fir bhi mushkil se mujhe nikal nahi pate. We all are working in resurging lost confidence among Hindus which has taken a huge hit due to extreme colonization of our education system, culture, parental knowledge, school of thoughts and westernized way of life. You are very fortunate that Hanuman Ji came in your dream and blessed you. There are few things that you must consider. 2) Work hard on the task at hand, focus on one job do not try different things one at a time. 4) Check the pattern of your working style; that you can check with your past experiences – if you like music then you might not enjoy teaching but singing. Similarly if you like teaching then you might not enjoy sales job. Check your UNIQUENESS based on your pattern of inclinations. 5) Never be pessimistic on third party views. You are unique and was selected to take birth in human form among billions of Jeevs. You live only once in this lifetime so always be optimistic. 6) DO IT NOW… Do not push tasks to the next day or time. Get it done in stipulated time to achieve results. 7) Wake up early, Sleep on time. Have food on time. Do yoga. Manage time. 8) And read all the above 1) to 7) pointers.. internalized it and you will see, you can achieve whatever you want in life that too with selfless karma. Jai Sri Radhe Krishna !!! I am very lucky to get connected with this website. I love to read all the articles. And would love to read the article which includes the secrets-stories,event and incidents of our Granth and Puran. As recently i read Garg Sanhita on the day of Radha-Ashtmi. From this i got to know that what circumstances has been made for avtaram of Sri Radhika ji and how it happend, Punarjanm of many characters in the time of SriKrishna, Sri Krishna ji or Sri Rdhika ji got married, the secret of kaliya nag why kaliya used to live in yamuna and many more. So here i would say that, in any occasion or festival (Parv) we should provide some contents or story concern to occasion or festival. I don’t think anybody called tulasi das or kalidas existed. This was a fake creation of the British . Asking you to Kindly do some research on this. I am not here to break anybody’s faith , only here for the truth. Do you know how you are alive ? Did you asked for proof from your father or mother whether they are really your parents ? Do you know someone who cheated death and took birth again and continued the cycle ever after ? Do you know where will you go after your death ? There are thousands of questions, where you will end up saying “NO” without finding solutions and when you really think of researching for truth and your existence, then you will know the reason and answers behind each question. That time you will not say “NO” to such questions. How you will feel after several years discussing on Adhyatham, if you share the moment about commenting on this website and your son or daughter would question that show us the proof whether you commented or not, may be he is different Rakesh. That time, you will smile at them and think they are ignorant and fool. Its time you Chant “Jai Shree Ram” and “Om Shree Hanumante Namah” if you are true Ram bhakt and have complete faith on Hanuman ji. Argument on existence of Tulsidas Ji is not important but thinking about Bhagwan is. Tulsidas was alive and his composition of Hanuman Chalisa is super powerful and positive energy generator. Just to add Love Kush Kand is addition of foreigners and concocted historians. Original Ramayan end with Bhagwan Ram and Seeta Mata going back to Ayodhya. Jai Shree Ram..Jai Shree Hanuman! 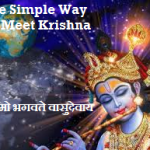 This is the best website i have ever come across while searching everywhere to quench my thirst for this knowledge in its simplest form and being able to relate to the events that have occured in my life with reason behind it..Keep spreading the wisdom and greatness, richness of our Hindu culture that is unfortunately been forgotten as this age passes by…God bless!!! Thank you so much for enlightining each one of us.. Thanks for the encouragement. Please share the post in your facebook, googleplus, twitter and other social media accounts. In this manner, you can also contribute for the cause of spreading awareness of our great culture, Hinduism. Hindus Beware of a Fraud in the Name of Hanuman Ji Run by a sri lankan Setuu organization. Do not make any payment to them. Such people are anti-Hindus and curse to Hinduism. We had seen the Setu org article previously but we ignored it to be hoax. This time, we have done research on this aspect and we did came through the website of Setu Asia which claims to be a spiritual organization but asks for donation of money. The claim that they made seems like a fraud and scam playing with the devotional senses of Hindus. Ram Bhakt Hanuman Ji is the most modest and simple Bhagwan. He never gave orders to pray or worship him in any of the Vedic texts. Rambhakt Hanuman Ji always prayed and worshiped Shree Ram. He only praised Bhagwan Ram. Hanuman Ji is pleased to see Hindus reciting Shree Ram and helps them when they pray Shree Ram. But the fraud website of setu asia claims to have got instruction from Shree Hanuman to pray him. After you register, you get this fraudulent message and they sent another trapping message to fetch money from you…. If you are Hindu then trust our ancient texts and knowledge. In no Hindu text, Hanuman ji ever said that people should worship him. Secondly, he never asked for any favor from the people in terms of gratitude, money or offering. Moreover, the mantras shared by setuu org is completely fake and has no Sanskrit meaning. It is made up by con artists to dupe innocent Hindus. And people like you are actually spread the SCAM among public. STOP THIS MENACE… If you are actually an Hindu by dharma. And if you are not then you will get no chance to repent for this heinous sin. Jai Bajrangbali! I have also too many experiences with hanuman ji.Do you know that in the pancham mukh form hanuman ji’s one face denotes removal of black magic. The actual story behind it is that during Ramayana hanuman ji took the form of pancham mukh in patalpuri to free lord Rama and Laxhman from the influence of black magic.And hanuman ji feels happier if you chant Jai Sri Ram ahead of him. Please read other posts and share the knowledge among our Hindu friends, brothers and sisters. Really what a great website to know all the events occured. Have become big fan. Please keep adding stuff. Thanks. Jay Shri Krishna. Please read other posts and give us feedback, also share the posts in social media sites. We want each and every Hindu to know the greatness of our legacy and Vedic wisdom. Jai shri ram,as we all know tha hanumanji is amar ,but this photo of hanumanji is situated in kota in a temple which is situated in chamble park.there i see the same murti of shree hanumanji with ramayan book.so i think this click is from there only and not the originall one.and i think in this centuary nobody have a pure soul so that anyone able to see god.god is in you.find him in you only. It would be great if you can share image of the Hanuman Temple where you discovered the photo like idol. However you need a reference letter from one of the devotees who regularly visit the ashram if you want to stay in the ashram and meditate with Hanuman Chalisa. The email id is kainchidham@gmail.com. For merely visiting the ashram, there is no restriction. You will find devotees chanting Hanuman Chalisa, Jai Shree Ram and Baba Neem Karoli Maharaj Ki Jai here. Bahut Bahut Dhanyawad, Aap bhi Is website ka prachar prasar kijiye apne facebook aur twitter posts mey. Aur saare posts ko padhiye. Hum chahte hai hamari sanskriti ka prasaar hamare navjawano ke beech bhi ho. haribhakt website kamal ki hai. yaha jo jaankari milti hai wo kahi aur nahi hai. ham sab bharatvasi bahut dhanya hai ki ham yaha paida hue hai. Because American and western countries were Patal Lok. 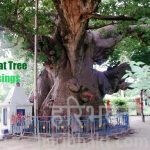 Bharat Varsha is the only divine place where avatars descend on earth. Avatars only happen in a place, where the establishment of dharma – piousness and morality is necessary to balance the Goodness with badness (immorality that reside in other lokas of earth – places which are accessible by Humans). It was never required in Patal Lok because they are ruled over by non-Dharmic values, and if they are fortunate they visit Bharat Varsha to attain wisdom. The transcendence of wisdom is not dependent on the lokas, if a person is keen in gaining wisdom, he can follow the same raising his conscious level. We are very fortunate that we took birth in Bharat Varsha, and conscious level here is already very high compared to other parts of the world. Achieving enlightenment in Bharat Varsha is easy than other parts of the world. As per my fathers guriji who expired recently shared his experiences of meeting with Lord Hanuman.He stated that he was serving in the army when he met Hanuman in the deep caves of Manasarovar,he lived with him for 6-7 months. He said that Hanuman can speak all the languages of the world and there are other facts which i dont remember. 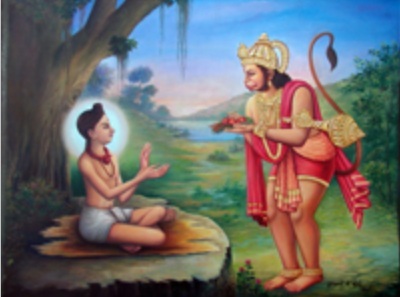 Further the story of photograph of Hanuman shown below is that a group of students from Maharashtra had gone to Manasarovar for trekking,one of the boy from the group lost himself and went to the cave where he saw a monkey reading a book. Getting curious about it he thought of taking a photo of the monkey,the boy started the camera and the monkey in front of him warned the boy for taking the photo. However the boy refused and took took the photo and within a flash of second the monkey transformed to a height of 24 ft with large amount of oil oozing out from his body,the boy on watching this ran away and fall of the mountain and died. When his camera was found all photographs were destroyed except one shown below. I fully agree with you that Ram Bhakt Hanuman Ji is very much alive and among us. Hanuman Ji was blessed with many boons and shaktis by Rishis, Gods when Lord Indra made Bal Hanuman unconscious hitting him with Vajra. He is the most powerful living entity in this world and will remain so (even to help Avatar of Bhagwan Kalki) till the end of Kaliyug. He also has power and voluntarily took the task to protect Bhakts of Ram and Krishn. Hanuman Ji was blessed to be a Ram Bhakt and immortal till the end of Kaliyug by Bhagwan Ram Himself. So narration of stories from people meeting Hanuman Ji cannot be discarded as myths. I fully subscribe to them. Can we meet our loved ones after death ? And if yes then till how much time will we be together? Re boy taking pic of lord Hanuman is fak story, god can’t be so cruel that he allowed the boy to get killed just because he photograph him and if the boy to get killed, how the story of 24 ft Hanuman ji came into existance ? @ Haribol ensure that false stories (“of DAR”) should not be spread in name of GOD. Can you please give reference of links to support your claim. It seems you are claiming based on your perception that Hanuman will not kill Bhakt. First of all it is not CRUELTY OF HANUMAN JI that kill a person. It the TEZ, IMMENSE ENERGY and AURA of Bhagwan which our mortal body cannot sustain. It is like burning fire touching your entire body. It is not cruelty of Bhagwan. Bhagwan Krishn gave divya drishti to reveal himself in Virat Roop similarly unless and until Bhagwan do not allow you cannot see him with your mortal body. provide such a great literature about our religion..
Sure, please keep visiting. Also send us feedback, what topics you want to cover in future posts. Thanks for your kind words. It would be great if you also share the posts and links with your colleagues and friends, so that we keep our great Vedic knowledge and Hindu tradition alive for our next generations. The way our ancestors and sages have done for us. Thanks for reading and supporting the website. Please do read other posts and spread the message of Vedic knowledge to Hindu brothers ans sisters. Radhe Radhe everyone! Bhagwan bahut saral hain. Agar apka man saaf hai aur aap unse wakai pyar karte hain to wo khinche chale aate hain. Bhagwan ko apki taraf khinchne wali bas ek cheej hai wo hai unse pyar jitna gehra aur jitna sacha aap unse pyaar karte hain wo utni jaldi daude chale aate hain. Site par Prabhu ki kripa ke jo bhi experience share kiye hain aap logo ne yakin maniye wo sach hain aur koi kuch bhi kahe wo Bhagwan hi the. Agar apka man saral hai man me bhawna aur pyar hai to phool todne me to fir bhi samay lagta hai par Bhagwan ko pane me utna bhi samay nahi lagta. mujhe bhi unke kai bar ehsaas aur darshan hue jinhe bayan to kiya ja sakta hai par kisi ko manwaya nahi ja sakta.